As much as I still kind of hate to admit it, the Rays will always be up there with the Yankees and Red Sox as perennial contenders for the AL East crown, and those coveted wild card spots as well. They’re an organization that took advantage of years of losing to build a great farm system, and they seem to always have a supply of young star players to put on the field or trade for greater talent. Being a small market team, I think they have to go through a down swing eventually (they’re not getting the number one pick ten years in a row anymore), but I just don’t see it being any time too soon. Anyway, let’s get on with the show. Offense has never really been Tampa Bay’s strong suit. They have some decent bats, but the only two guys anyone should really be worried about, as far as mashing, are James Loney and David DeJesus… OK I keeeeeeeeed! 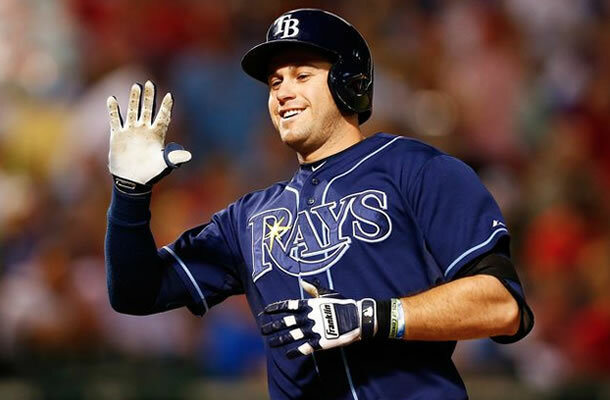 For real, the two guys I’m terrified of at all times right now are Evan Longoria and Wil Myers. We all know that Longoria is a threat for 30 and 100 every year, and Myers is the reigning AL Rookie of the Year. Myers won that award despite only playing in 88 games. It helps that he hit .293/.354/.478 with 13 homers and 53 RBI in that short time. I personally watched him hit two dingers off of Phil Hughes in a game last year. Bro can bash. I mean, most people only hit one off of Hughes… hyoo. The rest of the Rays offense, while not terribly intimidating, is full of guys who can put together solid, mid-level production type seasons. Loney remembered how to hit last year, and he, Ben Zobrist, Desmond Jennings and Matt Joyce will provide some decent pop to compliment Myers and Longoria. If guys like DeJesus and Yunel Escobar can get on base every once in a while, the Rays will be OK on offense. The one move they made this year that I really didn’t understand was the three way trade they made involving the Diamondbacks and the Reds. The Rays sent out a couple of minor league names and got back Ryan Hanigan from the Reds and Heath Bell from the Diamondbacks. Hanigan is known primarily for his defense (a reputation well earned, as he led the NL in throwing out base runners the last two years), but he hit under .200 last year. Now, maybe the Rays think Hanigan is due for a bounce back, but they also gave him a three year deal worth $10.5MM. That’s a big commitment to a guy coming off such a terrible season with the bat. If they wanted an all defense, no bat catcher, they already have Jose Molina on the roster. I guess I mostly just didn’t understand why they gave up on Jose Lobaton so easily. Lobaton doesn’t have the arm that Hanigan has, but has the potential to hold his own with the bat and displays a little more power than Hanigan. The did flip Lobaton to the Nationals for Nate Karns, a solid pitching prospect, but I just don’t necessarily agree with the move. Also, Heath Bell? Come on, bro. Let me just get this out of the way. I am very jealous, as a Yankees fan, of teams like the Rays and the Cardinals, who seemingly come up with a new ace rookie every year. The Rays, once again, will have a very legitimate starting rotation. 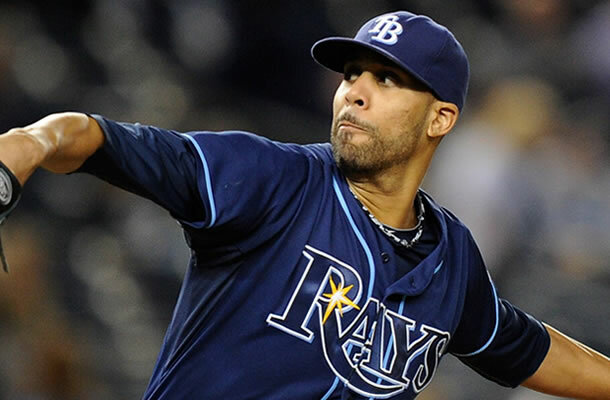 David Price, who is looking to enter free agency after the 2014 season, anchors the staff yet again. He’ll be followed by Alex Cobb (11-3, 2.76 ERA in 2013), Matt Moore (17-4, 3.29 ERA), Chris Archer (9-7, 3.22 ERA) and possibly Jake Odorizzi, who is the other top prospect they got when they sent James Shields to the Royals (Myers too). It’s ridiculous how some teams just keep churning these guys out. While the Yankees have produced some decent pitchers of late, they don’t even compare. The bullpen is an area in which I think the Rays actually got worse for 2014. 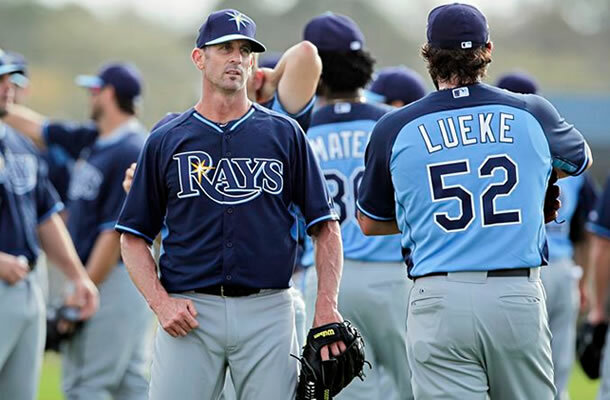 They will have a new leader, as the Rays brought back Grant Balfour (after his deal with the Orioles fell through because of a bum physical) to close games out in 2014, but I’m rather unimpressed by the moves they made and the faces they are bringing in for this season. Joel Peralta is a solid arm they’re bringing back, we’ll see hard-throwing lefty Jake McGee again and Cesar Ramos is also back for another year, but the Rays lost a lot of talent this offseason. They let Fernando Rodney sign with the Seattle, let Jamey Wright go to the Dodgers and traded Alex Torres to the Padres. Torres had a very impressive year last year, and losing him might hurt the most. Also, Heath Bell is involved. Again, I’m sure the Rays have a plan, and I don’t often like to doubt their personnel management, but I’m a bit confused by it all. Everyone seems to think the Red Sox will win the division, and the Rays will finish second, but I’m not totally sold on that. They have a great rotation, but only an OK defense and a questionable bullpen. I think you still have to favor the Sox because they’re the defending world champions, but a lot could go wrong with this Rays team, and I’m simply not on board to hand them second place in early March. On Offense, you have to have Longoria and Myers on the team. Those guys are the two best hitters on the team, and Myers’ upside is tremendous. Desmond Jennings could be on the verge of a breakout, but I would bother drafting anyone else on this offense. There’s a couple guys you could do worse than, like Zobrist, but he probably shouldn’t be drafted unless you’re desperate. Pitching is a different story. Definitely pick up Grant Balfour, he’s got a chip on his shoulder after the whole fiasco with the Orioles. You can’t go too wrong with anyone in the rotation. Price, Moore and Archer are must haves. 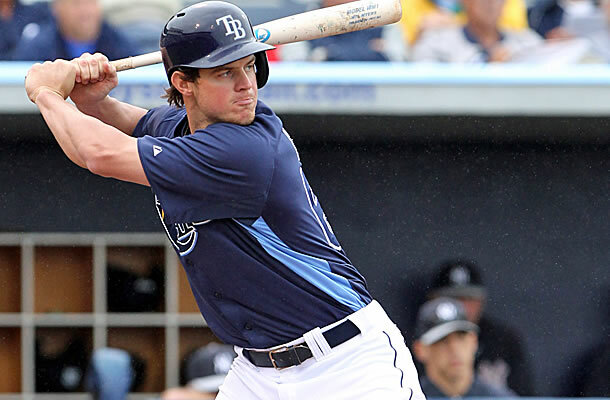 I would wait til the later rounds to pick up Cobb, and Odorizzi shouldn’t go too low either. You might want to wait and see what Odorizzi is all about before picking him up, but reports say that he’s going to be a good one.